I work with contemporary basketry techniques using mainly material from my garden to create a range of woven objects. My main daily work is as a biodynamic orchardist/ gardener. As such I work in harmony with nature everyday, gaining an insight into the rhythms and interactions of the natural world. 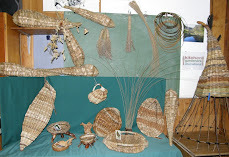 In basketry my inspiration stems from these experiences. I am surrounded by potential materials created out of the four elements earth (roots) water (leaves) air (flowers) and fire (fruit and seeds) The seasonal patterns, forms, textures, shapes and colour are displayed in a vast array of readily available weaving materials. 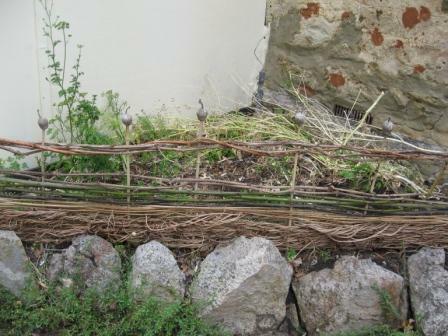 I relish the idea you can create such a wonderful array of things from weeds and faded plants. 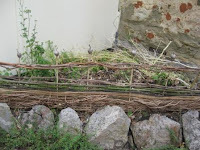 As in farming, I take the above elements and add the human element or ‘Quinta essentisa’ .The ordering principle to collect the materials and to create woven magic either practical or whimsical. 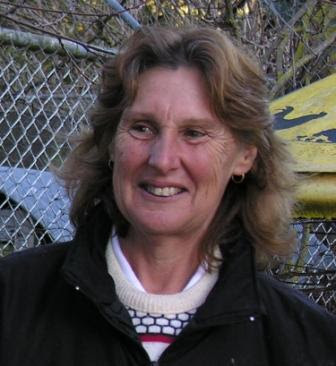 Workshop to my farming/gardening Spring education program to introduce gardeners to creative possibilities of their gardens. Festival and started attending meeting and workshops. You will find a quartz crystal embedded in all my current works.